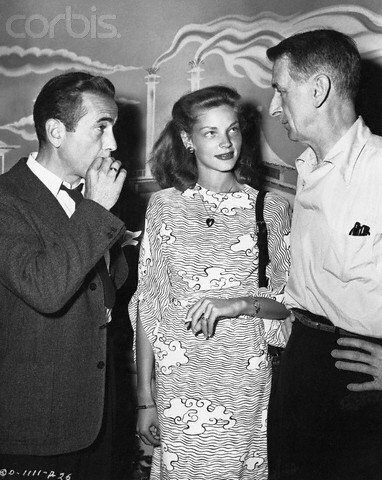 Humphrey Bogart, Lauren Bacall & John Cromwell. . Wallpaper and background images in the Classic Movies club. This Classic Movies photo might contain business suit, dress suit, full dress, tailcoat, tail coat, tails, white tie, and white tie and tails.